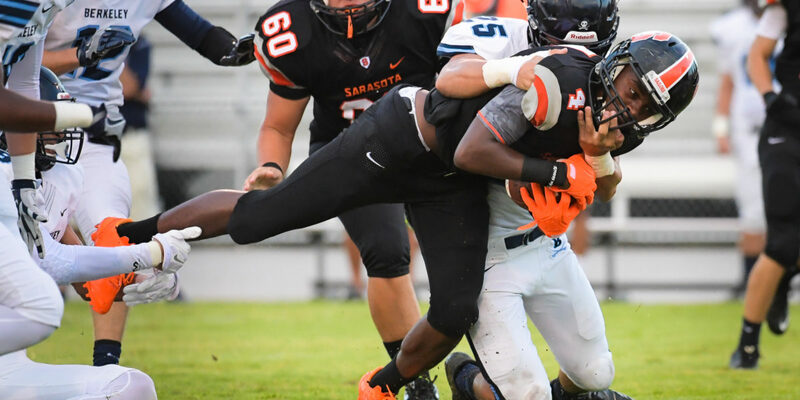 The Sarasota High football team made a great first impression. Led by quarterback Bryan Gagg, the Sailors scored the first 28 points and came away with a 28-13 victory over Tampa Berkeley Prep in a fall classic Thursday night at Cleland Stadium at Ihrig Field. The game was in danger at the start because of rain and lightning, but was played without incident after a 30-minute delay.